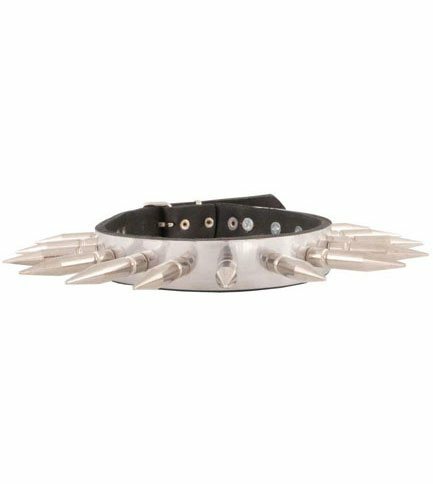 Stainless steel and leather choler with 15 by 1.8 inch long silver spikes. Fits approximately 14 inches by 16 inches long. Imported from Canada.